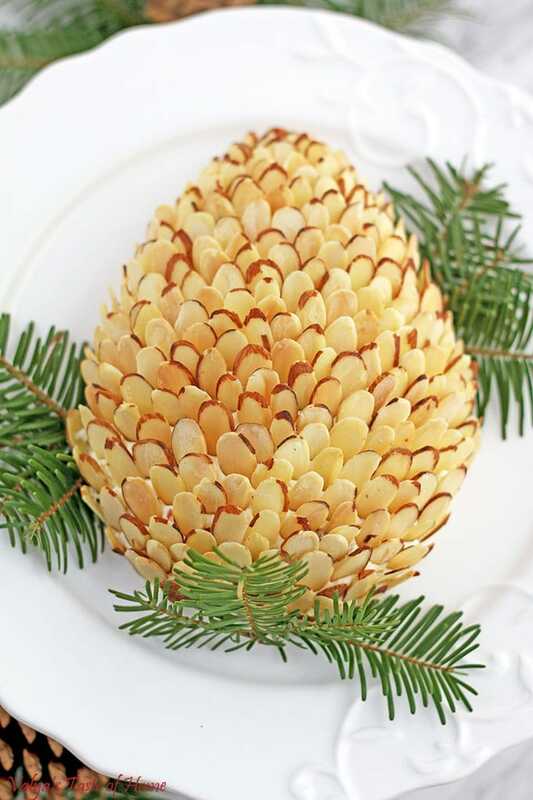 This beautiful and festive – yet so simple – appetizer is here for you just in time for that New Year’s party. It’s a great addition to the party table at get-togethers. It looks catchy and tastes amazing! 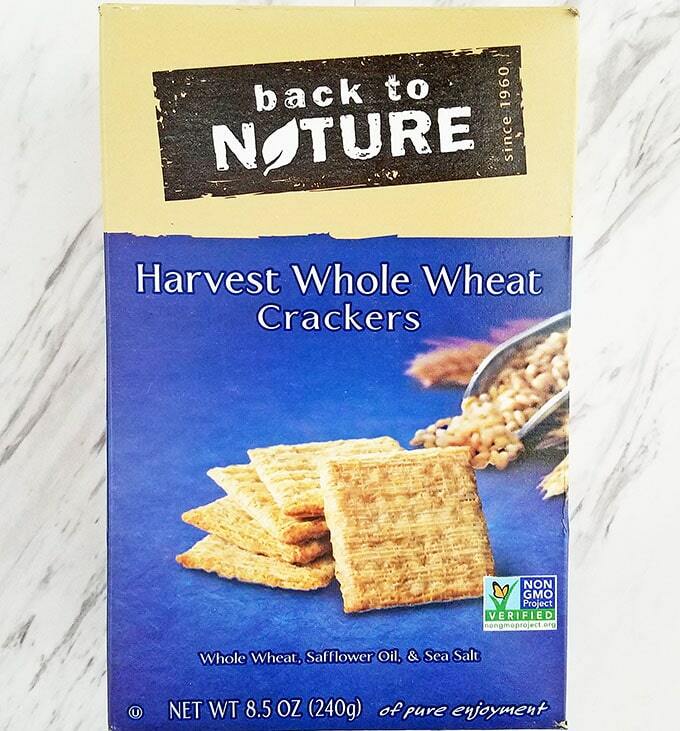 My favorite crackers to scoop this deliciousness with (but you may use any crackers you like). 1. 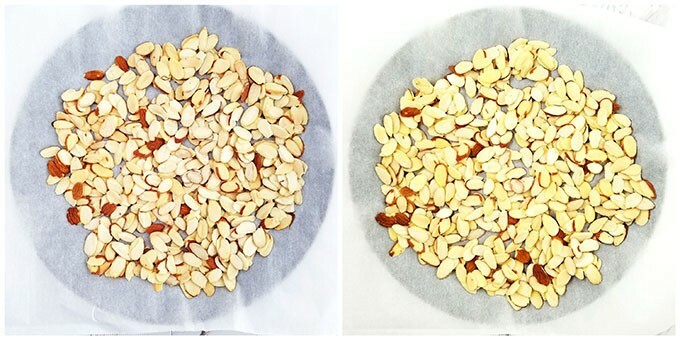 Pick out 1 cup of non-broken almond slivers. Toast them for 8 minutes at 350 F (180 C). Cool completely before use. Handle carefully so none break. 2. Beat to smooth cream cheese. 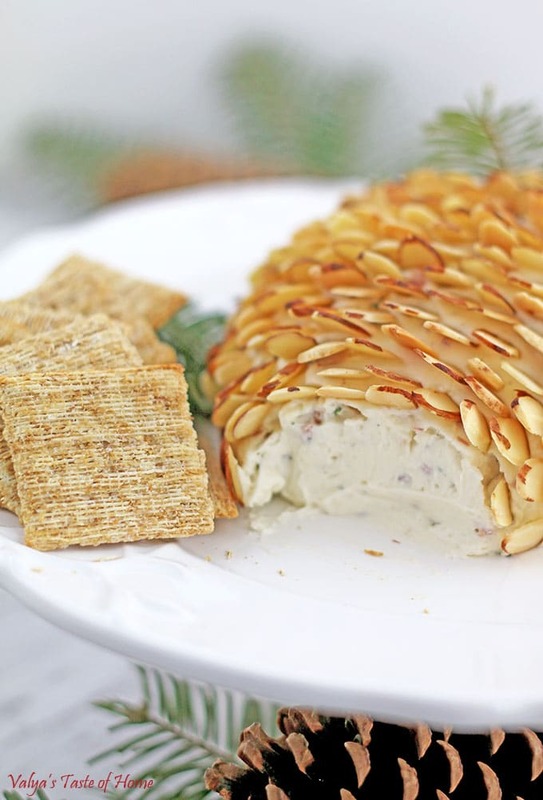 Scrape the sides of the bowl down to incorporate all of the cream cheese into mixture. 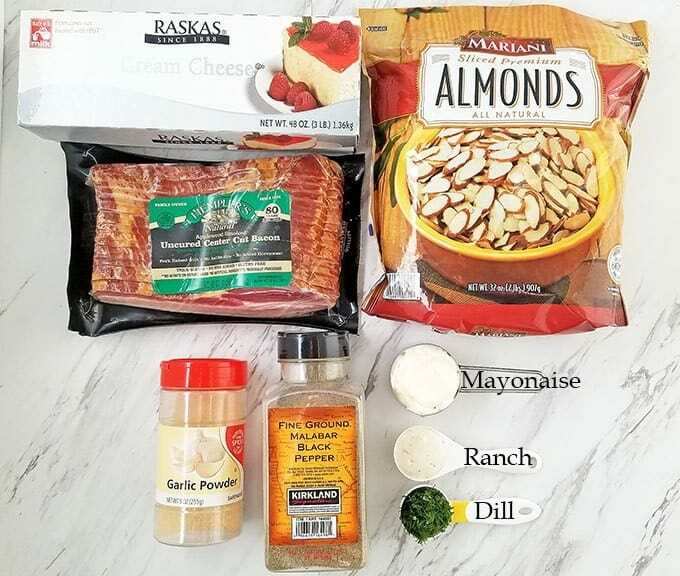 Add finely minced bacon pieces, garlic powder (or extract juice from one small garlic clove), black ground pepper, frozen (or fresh) dill, mayonnaise, and ranch. Beat all these together on the lowest speed for 30 seconds or until all incorporated. 3. 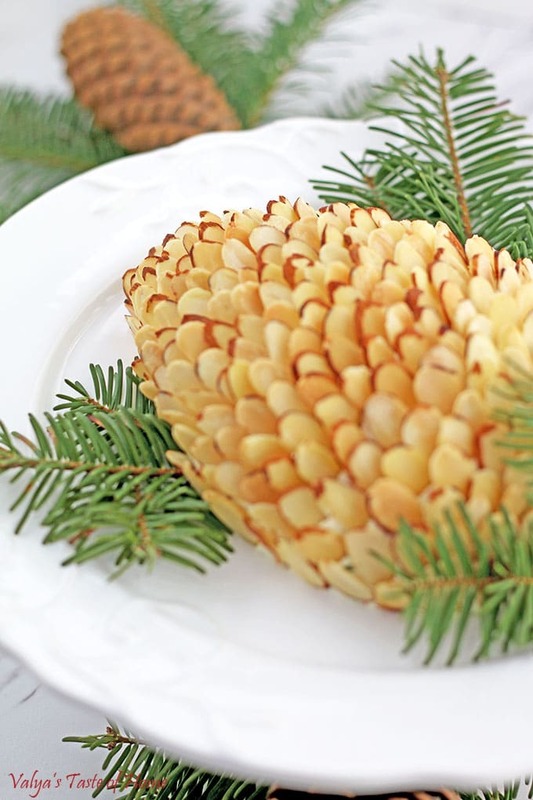 Scoop the cream cheese mixture onto a serving platter and mold into a teardrop shape to resemble a pine cone. 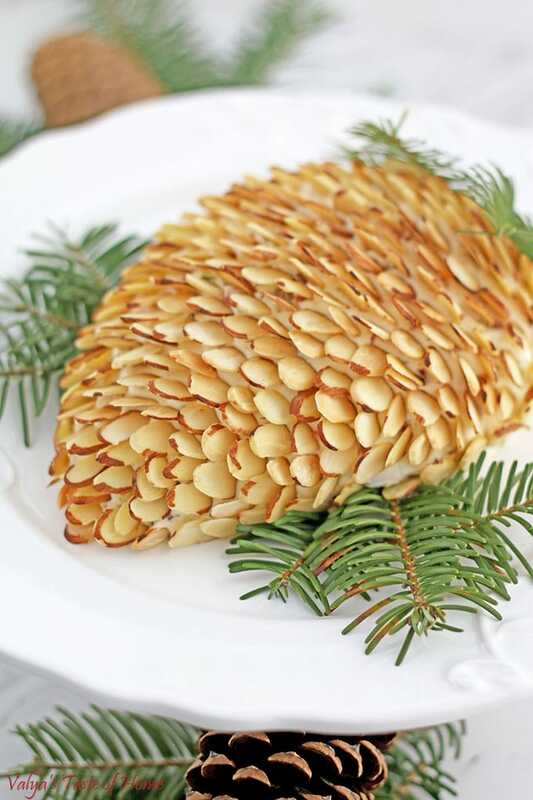 Insert almond slivers into cream cheese, leaning them toward the pointy side, to finish the pine cone look. 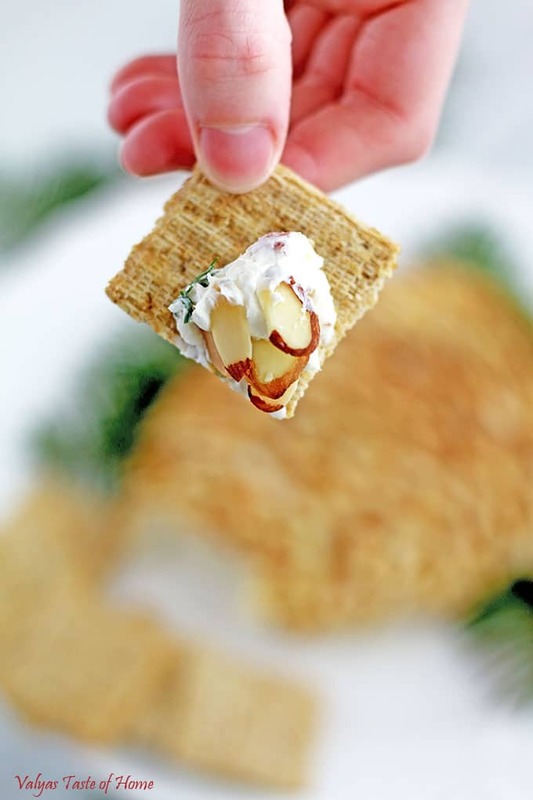 Pick out 1 cup of non-broken almond slivers. Toast them for 8 minutes at 350 F (180 C). Cool completely before use. Handle carefully so none break. Beat to smooth cream cheese. 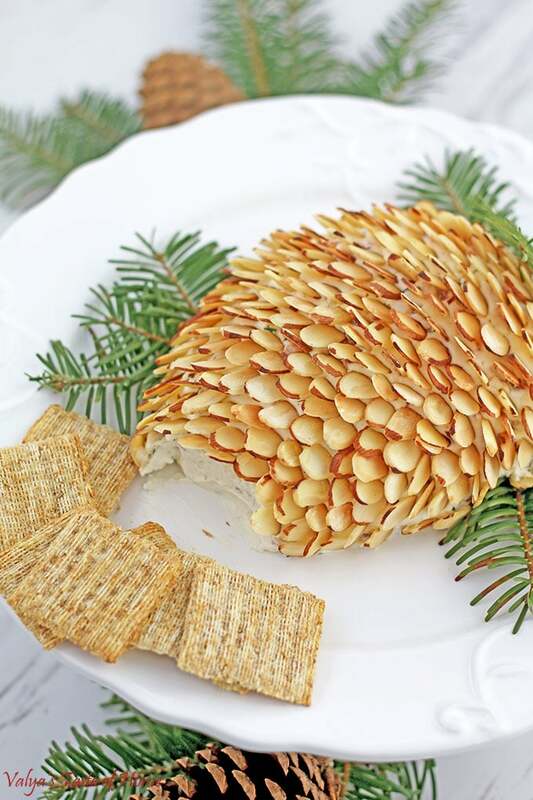 Scrape the sides of the bowl down to incorporate all of the cream cheese into mixture. Add finely minced bacon pieces, garlic powder (or extract juice from one small garlic clove), black ground pepper, frozen (or fresh) dill, mayonnaise, and ranch. Beat all these together on the lowest speed for 30 seconds or until all incorporated. 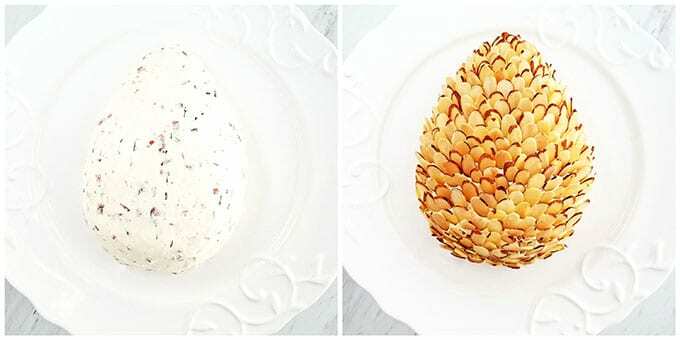 Scoop the cream cheese mixture onto a serving platter and mold into a teardrop shape to resemble a pine cone. 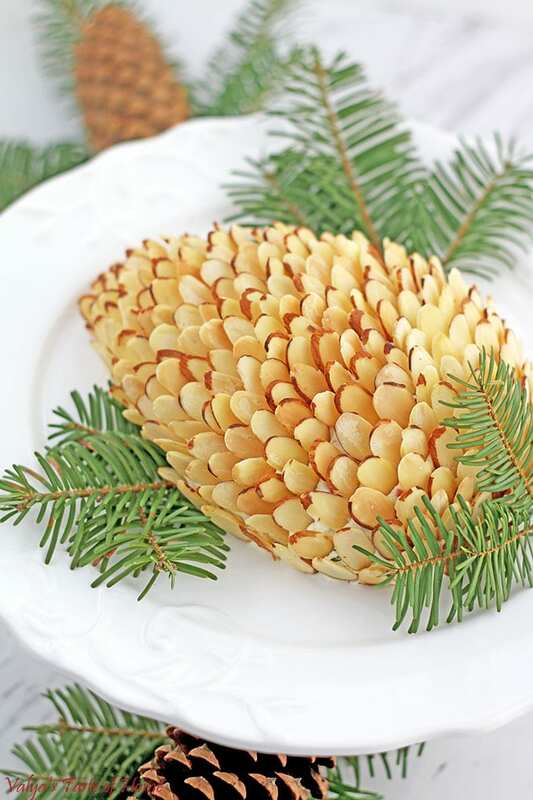 Insert almond slivers into cream cheese, leaning them toward the pointy side, to finish the pine cone look. Picture idea Kraft; recipe is mine. What a beautiful appetizer! I’m making this tomorrow. Thanks for the recipe! I get this bacon at Costco. I also saw it at Albersons grocery store in much smaller pack. Hmm. Interesting. I don’t remember seeing it at our Costco. We’re in South Carolina. Thanks for your reply. Try natural grocery stores too.